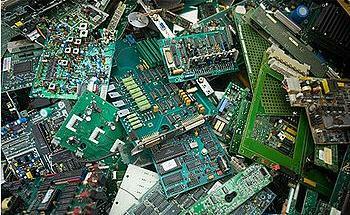 BRUSSELS, Belgium, January 20, 2012 (ENS) – Stricter rules governing the collection and disposal of electronic waste in the European Union were approved Thursday by the European Parliament. The legislative update to the Waste Electrical and Electronic Equipment, WEEE, directive offers consumers new possibilities to return small waste items to retailers, will cut red tape for businesses and will enable better recovery of raw materials. “After difficult negotiations I am very satisfied that we have agreed ambitious but achievable collection rates with Council. Europe will now recover more raw materials, which is excellent news both for the economy and for the environment,” said rapporteur Karl-Heinz Florenz of Germany, a member of the European People’s Party, the largest in the European Parliament. The 27 EU Member States will be required to collect 45 percent of electrical and electronic equipment put on their markets by 2016, and then achieve 65 percent by 2019. 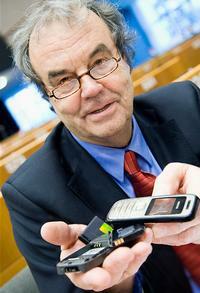 Alternatively, they can collect a comparable figure of 85 percent of e-waste generated. Ten countries that need to improve their facilities will have an interim target of 40 percent and may take until 2021 to reach the final target. All Member States must increase their collection of e-waste, whether or not they already meet the current flat-rate target of four kilograms (8.8 pounds) per person per year. The current target represents about two million tons per year, out of around 10 million tonnes of WEEE generated per year. The total of e-waste currently collected and appropriately treated is higher than that, about one third of all the electrical and electronic waste generated across the European Union, according to the European Commission, the EU’s executive branch of government. 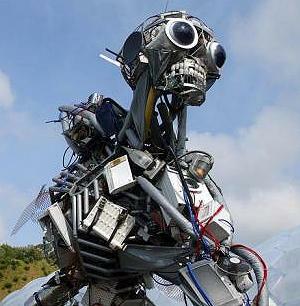 By 2020, the Commission estimates that the volume of WEEE will increase to 12 million tons. The new 85 percent target endorsed by Parliament would ensure that around 10 million tons, or roughly 20kg per capita, would be collected in 2020. Under the updated law, consumers will be allowed to return small items such as mobile phones to large electrical goods shops, without being required to buy a new product. Under the new law, waste management standards have been clarified, there will be a chance to address nanomaterials contained in electronic waste and in six years “the scope” will be opened, meaning the directive can be applied to more general products. Parliament said that under the new regulations better processing will help to recover more valuable raw materials and prevent harmful substances going to landfill. “The best recycling techniques should be used and products should be designed to be recycled more easily,” Parliament said in a statement announcing the vote. 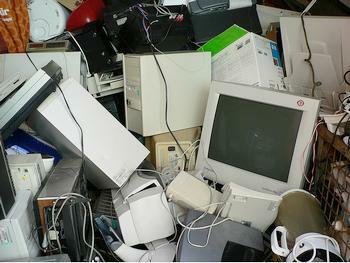 MEPs also negotiated tighter controls on illegal shipments of e-waste, to prevent the devices from being processed in countries where conditions are hazardous to workers and the environment. The burden of proof moves from customs officials to exporters, who must demonstrate that goods are being shipped for repair or reuse as appropriate. Producers of e-goods will continue to contribute financially towards meeting processing targets although administrative burdens on industry are expected to decrease by around 66 million euros per year according to the European Commission. Producers will benefit from simplified registration and reporting requirements and will be able to appoint representatives instead of being required to establish a legal seat in each country where they operate. New measures will prevent double charging of registration fees within Member States. Now that the legislators have approved a common text, it must be formally adopted by the Council of Ministers, a move expected within weeks because the targets passed by Parliament were previously agreed with the Council. The new rules can open a path for new businesses. In August 2011, “Waste Management World” reported that a joint venture in Rome is to build and operate a 25,000 tonne per year e-waste plant. The new company will be 51 percent owned by U.S. recycling and energy specialist, Garb Oil & Power Corp. and 49 percent by an Italian waste recycling business. The facility will produce copper, aluminium, alloys and plastics. The London-based nonprofit Environmental Investigation Agency, EIA, welcomed the new regulations but warned they would be meaningless without strict enforcement. “The new targets are more ambitious than those currently in effect. It’s good that the EU has recognised its responsibility to deal with e-waste appropriately and to prevent it being illegally exported to poorer countries where it poses such a serious threat to the environment and to human health. Europe’s largest association of nongovernmental organizations, the 140-member European Environmental Bureau, expressed concern that too many improvements have been left to future revisions. EEB said it is “particularly outraged” by a clause that allows the shipment of defective and untested items to developing countries under “reuse status,” escaping waste shipment rules. “These appliances often contain hazardous substances which the destination countries are often ill-equipped to deal with,” the green group warned. EEB took aim at the provision that requires only a few of the largest retailers to collect the smallest of appliances without requiring consumers to purchase an equivalent new product, while the rest have to do little or nothing to support consumers in waste disposal.